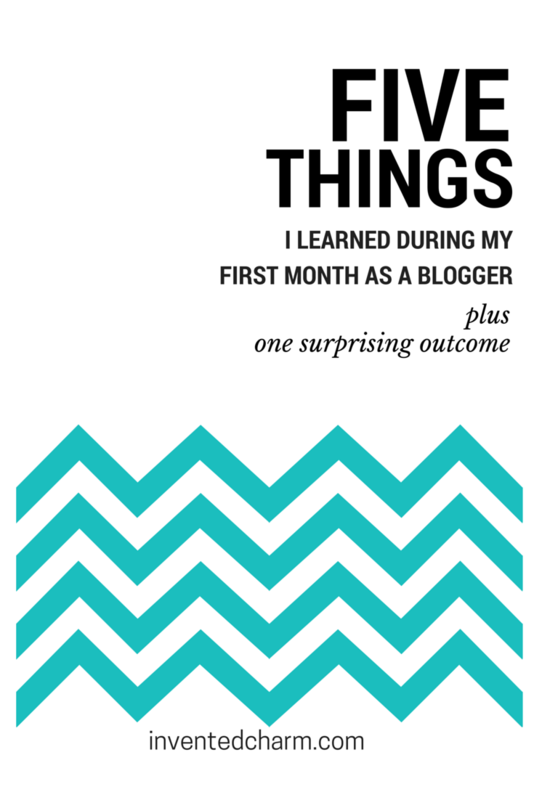 I wanted to take the opportunity to reflect on my first month back at blogging. I decided to plunge back into writing without much thought–I used to blog off and on, I love writing, and I missed it. I needed an outlet for my creativity and the thoughts swirling around in my head. To be totally honest, I wasn’t even sure what kind of blog this would be when I started it. I chose my blog name based on my Instagram and Twitter handle, and I thought it had a nice ring to it for a lifestyle blog. I idealized that this would be a place for me to write about travel, food, and fashion with humor. What this has actually become is a place for me to spew out thoughts on life, post amateur food pics, and my cobbled together attempts in the kitchen. I do hope that it will continue to evolve and I’ll find my voice and aesthetic. But for now, this blog is still searching for an identity. It’s scary to put yourself out there for people to read and judge. I’ve always had this fear of being discovered as some sort of fake, which is why I try my hardest to be real. I don’t take myself too seriously, and I’m the first person to point out my shortcomings. I don’t want to misrepresent myself in any way, but I also don’t know how I want to portray myself on the internet. It’s tricky. I’m intensely private, but I so love the feeling of being open and expressing myself without fear. There’s so much to learn and figure out when you’re launching a blog. Some things work, and others don’t. I try not to put too much pressure on myself to know everything right away. Graphics and photo editing have always been a stumper for me. I’m working on it, and with time I’ll hopefully improve. Actually, I know I will. There’s very little I’ve tried in life that I couldn’t master to some extent. But I have to be careful and limit myself. There’s got to be a balance so that I can still write, spend time with my kiddo, and learn the business and marketing side of blogging. I don’t have this app on my phone, I don’t have that plugin on my laptop, I’m not signed in here. Ugh. It’s annoying to try and keep up with everything, and even worse when you make a mistake, or a lot of them as is my case. I’m really terrible at remembering hashtags, and all I can do is shake my head after I hit post and notice after the fact. But everything is a lesson if you’re receptive to learning and growing. It’s so satisfying to set small goals for myself and meet them. I wrote a little bit about the daily goals I have and the apps and tools I use to remind myself to do them. I set a goal for myself last week to post three times and I did it. I did it on my first try! Woohoo! I have so much I want to write, and I can’t write fast enough to keep up with the ideas. What’s more, I feel like blogging has given me energy and confidence in other aspects of my life, too. I feel like there’s momentum to my creativity and productivity and it makes me feel excited for the future. When I became a mom and after I left my job, I felt like I lost my sense of self. I didn’t know what my identity was anymore. I felt like I didn’t have anything interesting to contribute or feel worthy of happiness. I was in a dark place and I felt alone. This happens to a lot of people at many different stages in life, usually during some transition where everything that is familiar and comfortable changes or disappears altogether. Starting a blog got me to think in a radically different way. Writing demands interaction with the world instead of experiencing it passively. I make time to read blogs rather than just clicking on a link when it floats by. I make the effort to talk to people, even though it scares me. Not much on the surface has changed, but even small steps have made a huge impact on my life. I have something to add to the conversation now, and my days are just a little bit more interesting than they were before.